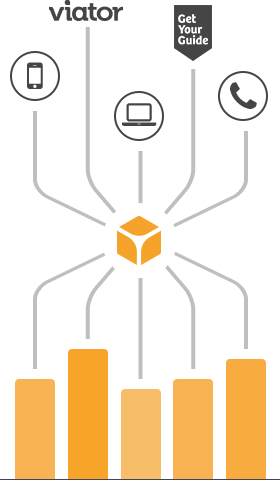 Gain access to 360 million potential customers across all of bookingkit’s sales channels. Increase exposure for your services by advertising not only on your own website, but also on a host of other online sales channels. With bookingkit’s extensive sales network, you get access to tons of popular, big-name platforms, such as TripAdvisor, mydays or GetYourGuide, to promote your business and tap into new target groups. And your availability, calendars and quotas across all channels can be easily and centrally managed from within the program itself. And new sales partners are joining all the time! The bookingkit platform features tons of integrated sales channels, including TripAdvisor, mydays, GetYourGuide, musement, Outdooractive and many others, giving you access to over 360 million monthly users. And the number of channels is growing every month! A single click is all it takes to get your services up and running on a variety of sales channels to start bringing in new business. Try out bookingkit for free! Start today and enjoy a 7-day free trial period with no obligation. Tons of powerful features for simple, effective business management! With bookingkit, all your bookings can be viewed and managed centrally, whether they were placed over the phone, through your website or through other online portals. This means all your appointments are listed in a single calendar, and all your sales channel quotas are automated using a single system — simply log in to bookingkit to get an overview of everything. No more calendar juggling and no more over-booked activities. bookingkit automatically handles the transfer of images, activity descriptions and meeting places for you, so you can get back to what matters most. With bookingkit, a quick glance is all it takes to know where your customers are coming from and which sales channels are bringing in the most business. 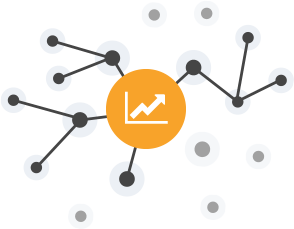 Whether it's your own website, over-the-phone bookings or other sales channels such as TripAdvisor, the data is right where you can see it so you can maximize the effectiveness of your business. Assign products and services to specific sales channels for customized marketing that fits your business. Limit marketing activities to your own website, post your services to TripAdvisor or assign specific activities to individual sales channels. bookingkit lets you decide how to reach new customers. 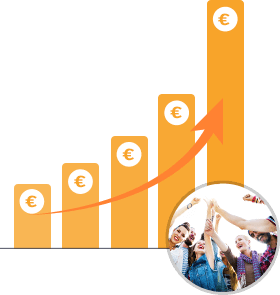 bookingkit is one of the only provider neutral software solutions for activity providers in Europe. We aren't running our own marketplace — our commitment is to you alone. 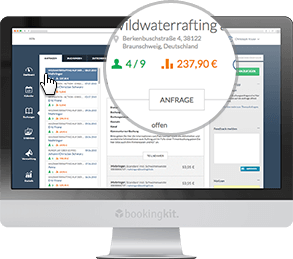 So you won't find bookingkit at your website or even in tickets and vouchers. And this is why it's so easy to promote your activities and services on platforms such as TripAdvisor with bookingkit. We're like almost no other provider in Europe. Find out for yourself. Bookings made easy for your business! Organize your administrative tasks better and get bookings online at any time. Outstanding & secure! Trust the test winner. Try it for free now. Easy coupons available directly on your website! Sales, newsletter promotions, gift certificates — it’s up to you. bookingkit’s smart coupon feature makes professional coupons a breeze. Boost revenue with a variety of customizable coupons and discounts available directly through your website — the perfect gift for any occasion. Online bookings and advanced payments are your ticket to satisfied customers who keep their appointments. 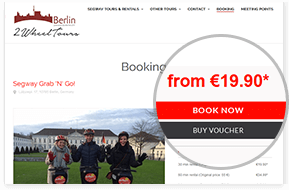 Online booking and direct payments help incentivize potential customers to book early and choose you over the competition. And the best part for you is a 90% reduction in your no-show rate. Selling tickets — and requiring payment — in advance is a great way to keep your customers committed to their appointments. Plus, early online bookings make it easier for you to plan for the future and create added value for your customers. bookingkit gives you unlimited bandwidth, indefinite contractual periods, and weekly payouts on your generated revenue. No long waiting periods or strict payout conditions to collect the money you've earned. And with our outstanding payment partners, you can rest assured that your money is on its way and in accordance with current financial directives. bookingkit has received several awards. Try it for yourself! Try it now for 7 days for free and enjoy all of the benefits at your leisure with no obligation. Our experts are ready to help you get started – and help you grow your business. No credit card necessary, get started in five minutes!